Wait. 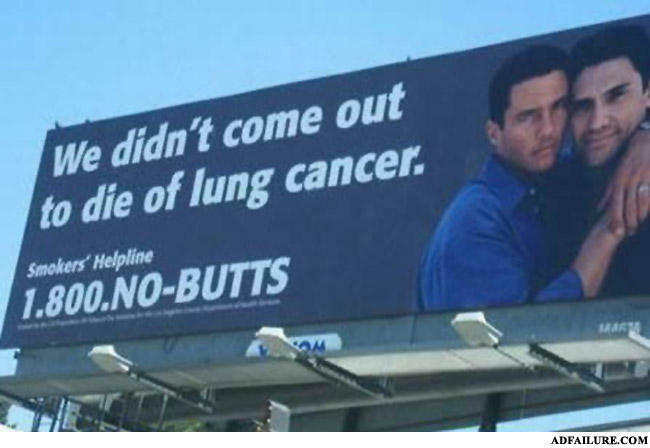 What does lung cancer have to do with queers!?! So a man walks into a wedding and asks the waiter where the to wait for the punch... the waiter says, "there is no punchline."